Posted on 22nd November 2018 at 9:16 am. For building studies graduate Andrew Marley studying at Darlington College has laid the foundations of future success and offered the chance to secure a job in “Manchattan”. 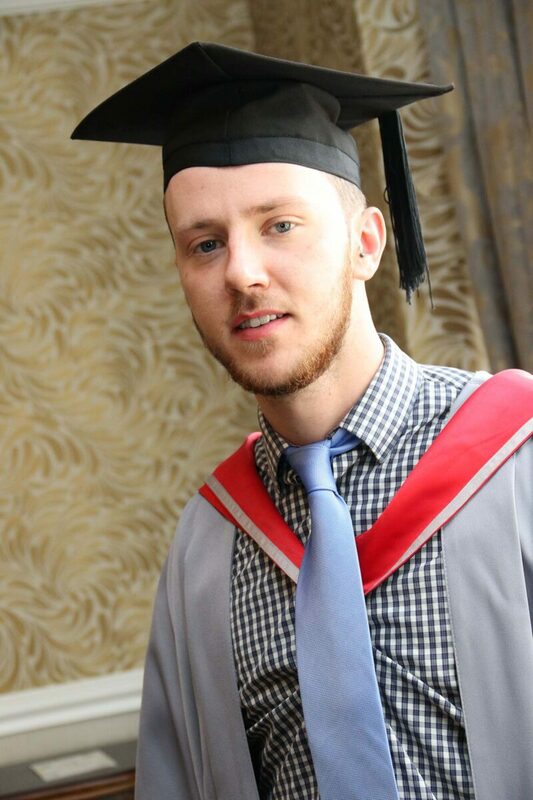 The former Barnard Castle School student swapped games design at university for a Level 4 HNC in building studies and is now being paid to read a BSc in construction project management at Salford University by his employer Renaker, which specialises in high-rise luxury accommodation in Manchester. “We are currently working on a 66-storey prestigious development believed to be the tallest outside London where the penthouse apartment is valued at £3.1m,” said Andrew, of Bishop Auckland, who got his first taste of the industry labouring for his father, contractor William Marley.